Activated carbon is a perfect solution for household water filters and whole building water treatment. Point of use (POU). The quality of the water from public water supplies can vary from one geographical area to another. 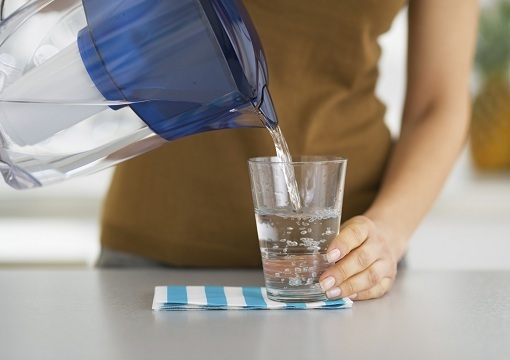 In some areas, although water quality may be fine, consumers may prefer a home water filter to remove taste and odor causing compounds. Water filters with Cabot Norit Activated Carbon products are used in households just prior to the water being consumed. POU filters include pitcher filters, faucet-mounted devices and devices installed under the sink. We supply a full range of grades for this application, including silver impregnated carbons to reduce microbial contamination. Point of entry (POE). Our activated carbon is also installed in POE systems that treat water as it enters a commercial, industrial campus or residential building. Our activated carbons are used to remove chlorine, disinfection byproducts, and micropollutants and improve taste and odor where incoming water needs treatment to meet your preferences.